There was a time when ‘Indian dance’ was synonymous with ‘solo’ performances. With classical dance branching out into group choreography, and with the advent of ‘Indian contemporary dance’, this is no longer the case. In both the classical and contemporary dance scenarios in India, dance troupes and companies are coming into being and expanding; and far less frequently, but silently coming into existence – are egalitarian and democratic artistic collaborations. Every young dancer who steps into the professional realm of collaborative dance – whether it is joining a dance company where there is quite a gap, hierarchically, between the artistic director and dancer; or if it is doing a project with other artists as ‘equals’ –is faced with the question of where to draw the line. Before I explain what I mean to say by ‘drawing the line’, I must confess that I do not have the answers to the questions I invoke in this essay. I do not claim to know where to draw the line. But given how several young dancers give up on their aesthetic beliefs and values without blinking, naively believing that agreeing to do anything and everything asked of them makes them ‘open minded’, I thought the question of where to draw the line is worthy of being thrown out in the open. 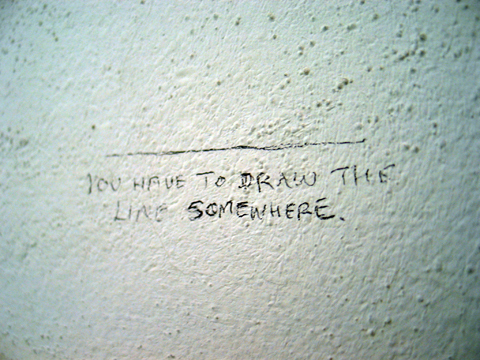 Let me try and explain what I mean when I talk about ‘drawing the line’. Ideally, a great dancer, after years of rigorous training, develops his or her personal aesthetic and style. Whether he or she remains profusely loyal to a technique, or decides to rebel against it – a dancer becomes known for his or her individualism within the generic ‘style’ or ‘form’ of dance. Therein, at least I believe so, lies the excitement and uniqueness. 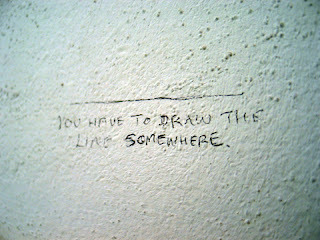 But therein also lies the complication during collaborations with regard to the question of ‘drawing the line’. When two or more artists with their individual artistic convictions and aesthetic perceptions enter a common space, there is often a clash of individual identities in the form of aesthetic and artistic disagreements. In an egalitarian collaboration, whose individual vision will prevail and who compromises depends on how the artists negotiate their creative terms. The artists, together in a democratic space, may be able to work out to what extent they are willing to compromise on their aesthetic values before they draw the line. But what happens in a situation where a young dancer is working under a well-known choreographer, or a young student joins his or her teacher’s dance troupe/company? In other words, what happens when the situation is not equal? When hierarchically, the artists in question are not on the same ‘level’? Does the willingness of a dancer to work under unequal conditions imply a willingness to compromise on artistic values? It is a well-argued and justified defense that a dancer has the choice to work with one choreographer and not another. On researching the two choreographers, a dancer can make an informed guess at which choreographer is less likely to clash with his or her aesthetic choices. But hypothetically, if a dancer finds himself or herself in a situation where he or she is being forced to dance in a manner that clashes with their artistic and aesthetic values, where can a dancer draw the line? Has a dancer been able to draw the line? Or has the answer so far lied in the extremes – silently compromise whatever needs to be compromised or be forced to abandon the collaboration?